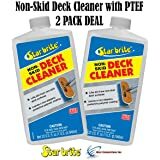 Amazon's Choice for "starbrite deck cleaner with ptef"
No hard scrubbing or rubbing. 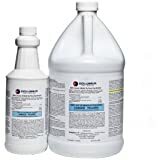 Effective, all-surface cleaner for fiberglass, vinyl, plastic, metal and painted surfaces. 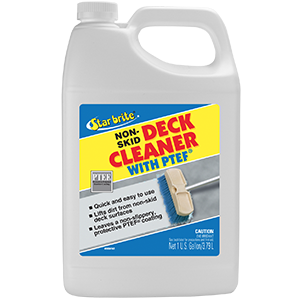 SOLUTION: Break the bond between dirt & deck with Star brite's Non-Skid Deck Cleaner with PTEF. 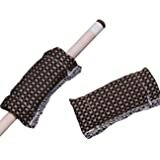 The special chelating agents loosen dirt and stains without the need for heavy scrubbing and the PTEF polymers provide a barrier against future stains. 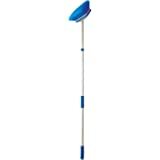 1 Gallon 1 Gallon Pack of 1 Onе Paсk 2.25 Lb. 48"
This stuff works absolutely fantastic on non skid decks. 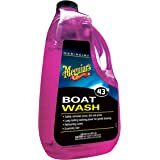 I use it every single time I take the boat out. 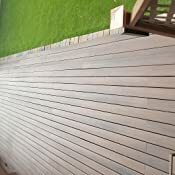 The best way to apply it is by using a pump up sprayer so that it applies evenly around the entire deck like the one in the link below. You can lightly mist, this stuff is powerful! This stuff is amazing. 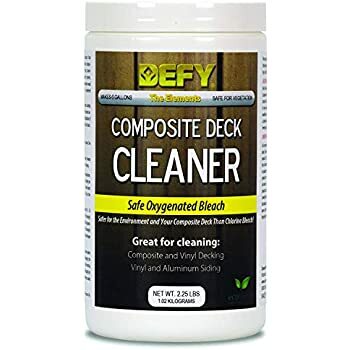 Hose the deck off, squirt some cleaner on, spread it around with the brush and let it sit for a few minutes, scrub the deck lightly and hose off. When you are done, it looks like you just washed and waxed it!! Once you've tried it, you won't use anything else!! This is the best product on the market. 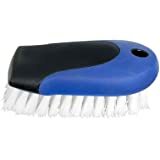 Leaves a protective coating that makes cleanup easier each time. Removes blood and squid stains. Everything but rust and they have a product for that. 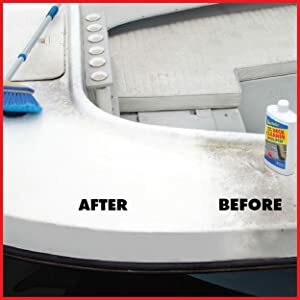 The worst thing you can do to your boat deck.... chlorine bleach. 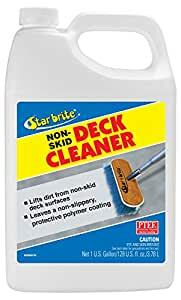 And by the way, those other deck cleaners you find at Wally's and West, are StarBrite too. 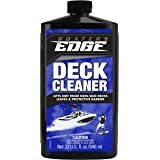 If you're looking for a Non-Skid Deck boat deck cleaner, this is the product!! 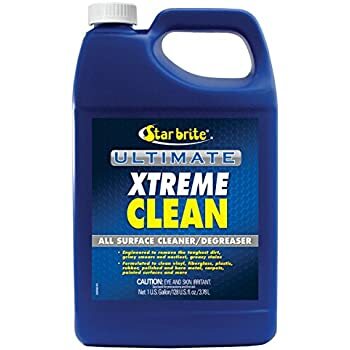 I've been using Star Brite NSDC with PTEF for the last 7 years after I discovered it. I've also introduced this product to other friends as well & the love it. Bird droppings, dirt & fish blood come right up. 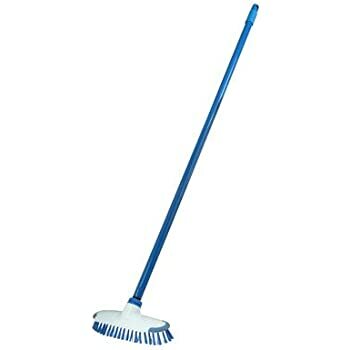 I use a telescoping brush. 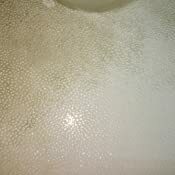 Rinse off the deck, spray some Star Brite on, let it sit for a minute, scrub with a brush, rinse, and you're finished. 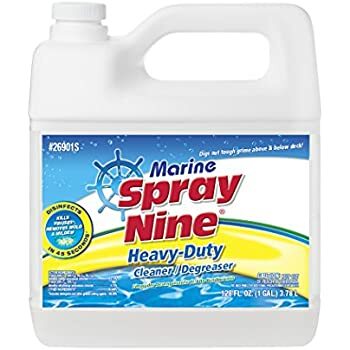 Obviously if you have some large caked on areas, you may need to add some elbow grease, but in general this does a great job of lifting deposits off of the non-skid. I also was down the helm with it. The PTEF also helps protect your gel coat from the sun as well as future deposits getting into your non-skid. Anyway, great product. I'm glad they sell it by the gallon. 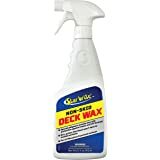 Excellent product for cleaning non-skid deck on my Sportsman Masters 207. 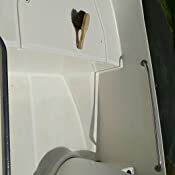 When I first bought my boat I thought my normal cleaner (Woody's) would be fine for the deck. Over time I noticed that the non-skid wasn't looking very bright compared to the rest of the hull. The Starbrite made a huge difference and my decks are sparkling white again. 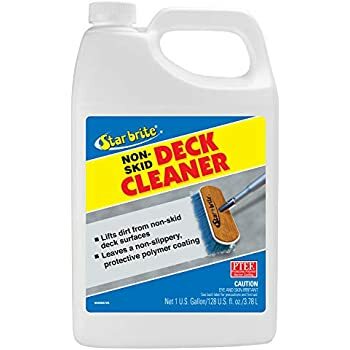 5.0 out of 5 starsA Great Non-Skid/Deck Cleaner. 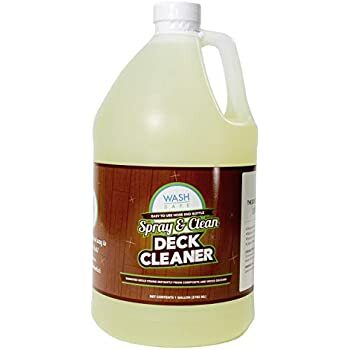 This cleaner works very well. 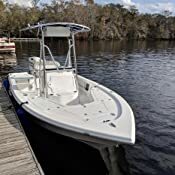 I was using a traditional boat wash for the non-skid and it was getting kind of stained and beige. This stuff rocks. Wet the deck, drizzle this stuff on and quickly scrub it in, move on to another section, and so on. If it starts drying, spray some water on it it dont rinse. After about 5 minutes go back to the first section and scrub with a coarse brush, then hose off. If you have stains, let it sit longer and scrub more.